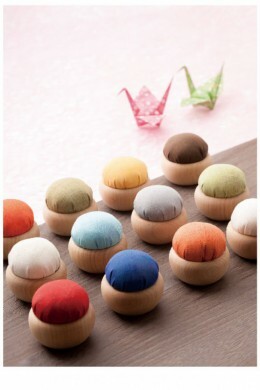 SET CONTAINS : PINCUSHION 1pc., Cellulose-Head Pins Tulip Thin 1pc. As the material for the pincushion base, we have selected gentle-looking cherry wood from various kinds of wood. Giving importance to maintaining a texture and appearance unique to the natural material, we have designed the base to be comfortable to the touch and provide steadiness for your needlework. 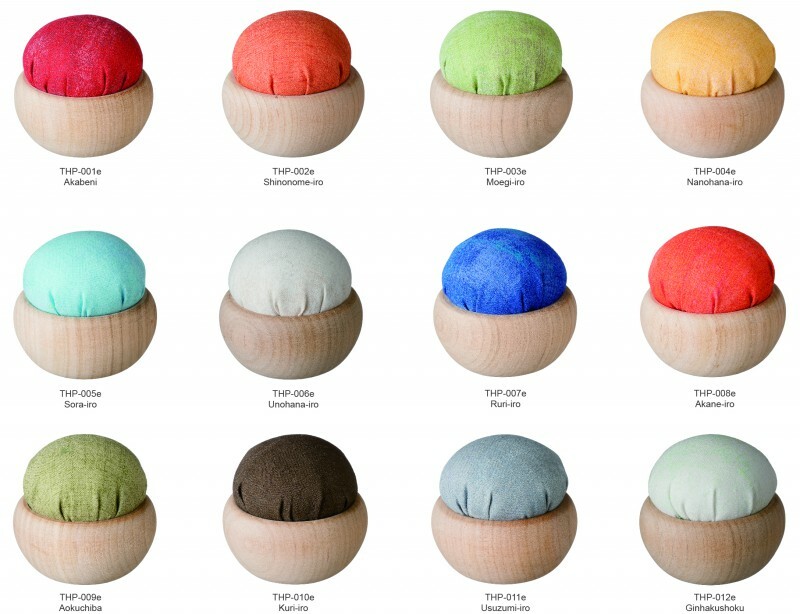 Placing the highest priority on having needles smoothly go into the pincushion, we have selected thick, high-quality cotton sheeting as cloth for the pincushion. With a very smooth and soft texture, the cloth helps you smoothly insert needles into the pincushion. We have also carefully selected the padding material to prevent your needles from rusting even during long-term use. All materials are produced in Japan.